Put your patients at ease before a procedure with these essential dental patient education videos from the ADA. The Toothflix 2.0 Complete Series DVD can be utilized by your entire staff. Play featured videos for patients before a procedure, show them in your waiting room, or use them as an educational tool for school visits or presentations. The information shown in these comprehensive videos comes directly from the ADA, giving your staff and patients peace of mind knowing it’s from a source they can trust. 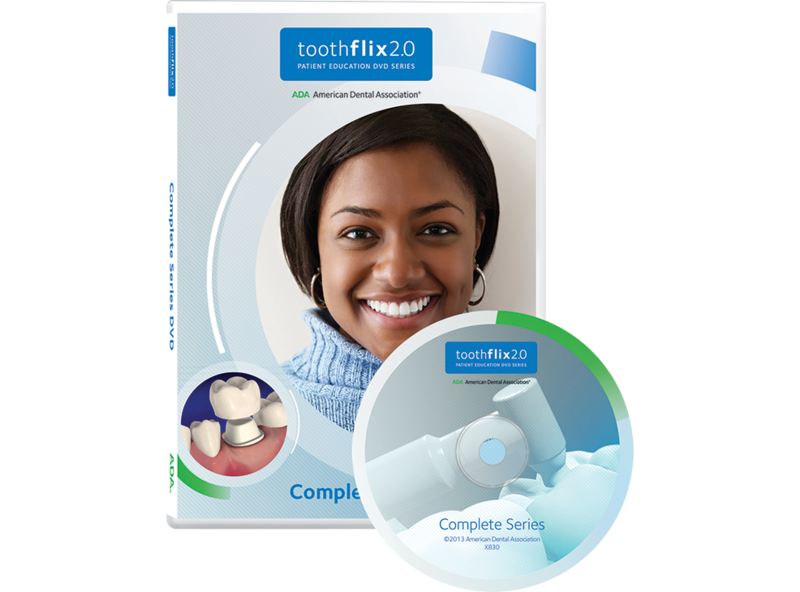 With Toothflix 2.0 Complete Series DVD, you’ll provide patients with information that is educational and engaging. For Toothflix demos and additional information, visit www.ada.org/toothflix. Order this essential audiovisual tool for your office today!